For many years, Michael Allen has been sounding the call to move beyond ADDIE towards a process that is more responsive, flexible, and manageable. More importantly, to move to a process that can actually produce high quality learning experiences. Yesterday at the ASTD ICE conference in Denver, he once again challenged us to leave ADDIE behind. But for what you ask? That’s a great question (A question for which I sure hope you already know the answer…hint, hint). Before we talk about WHAT to leave ADDIE behind for, let’s discuss WHY you should leave ADDIE – and most traditional processes for that matter. These traditional processes have been churning out some disappointing training over the years. This disappointment is measured by the impact on the training departments, management, learners, and even shareholders. Training departments spend too much money and time on training that has little, if any, impact on the performance of the learners. Management is in the constant cycle of allocating ever diminishing budgets which are not adequate to build training that has any return-on-investment. Learners are becoming disillusioned and unmotivated by the boring, lifeless click-through training to which they are subjected. Shareholders are seeing their organizations miss opportunities to improve performance and efficiency, and therefore the bottom line. Let’s be honest for minute, ADDIE and other traditional processes do a great job of acknowledging risk and managing its impact, but this risk management comes at a cost. The foundation of any traditional process is an accurate analysis. You can’t move forward until the analysis is complete and flawless – the problem with that is no analysis can ever be complete and certainly not flawless. So, training departments get stuck in the Analysis Paralysis – and the schedule slips and keeps slipping. Because these processes are linear and require approval to move forward, they lend themselves to a design that is focused on facts and text. Training departments attempt to explain designs with storyboards and content outlines that simply provide the words and facts. Once these are approved, it’s way too risky to redesign in order to meet learners’ need for performance focused learning experiences, and the learners ends up with disappointing page-turner training. So, to make up for these, and the many other challenges, we modify and realign traditional processes (ADDIE). But that’s not really a solution at all. The limitations of ADDIE are not its five phases, but rather the order of the phases, the lack of practical strategies for incorporating learner input, lack of collaborative design, and limited manageability. We all analyze, design, develop, implement, and evaluate – there’s no other way to build learning experiences. But, we don’t have to do them in the traditional ways anymore. First, our process should be iterative. An iterative process provides opportunities to experiment, test, and revise our designs. Second, our process must support collaboration. The inclusion of learners, managers, and stakeholders in the design process will only ensure a better, performance-focused solution. Third, our process must be effective and efficient. At the end of the day, we have to support the business case for training and the time and budget it takes to create learning experiences should not be wasted or extended any more than necessary. Our process must ensure we are able to move quickly and purposefully. Fourth, our process must be manageable. Some great processes (on paper at least) are not easily managed, which means a lot of energy and time is spent keeping things on track…wastefully. Our process needs to provide strategies to increase its manageability. This set of criteria is just the start. 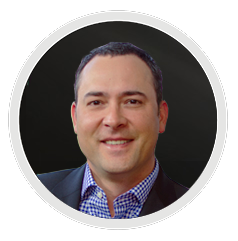 There’s plenty more to creating and implementing a successful, efficient, and manageable process. 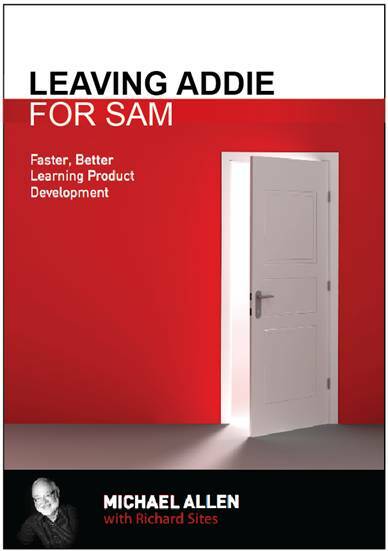 If you would like to join me in heeding Michael’s call for action to leave ADDIE behind, look for his new ASTD published book, Leaving ADDIE for SAM, coming this fall. SAM is the Successive Approximation Model (we call it SAVVY at Allen Interactions). And if you were at Michael’s ASTD ICE presentation yesterday…let me know how it went! Get a free download of the preface from Leaving ADDIE for SAM here.